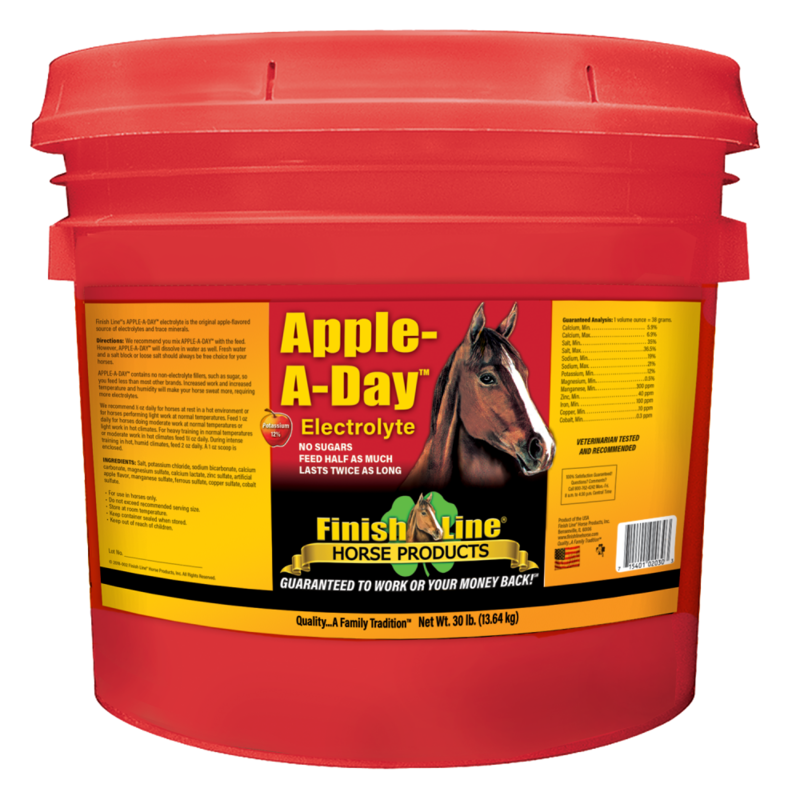 Finish Line® Electrolytes and Trace Minerals help promote healthy hydration in your horse by replacing electrolytes lost during daily activity. 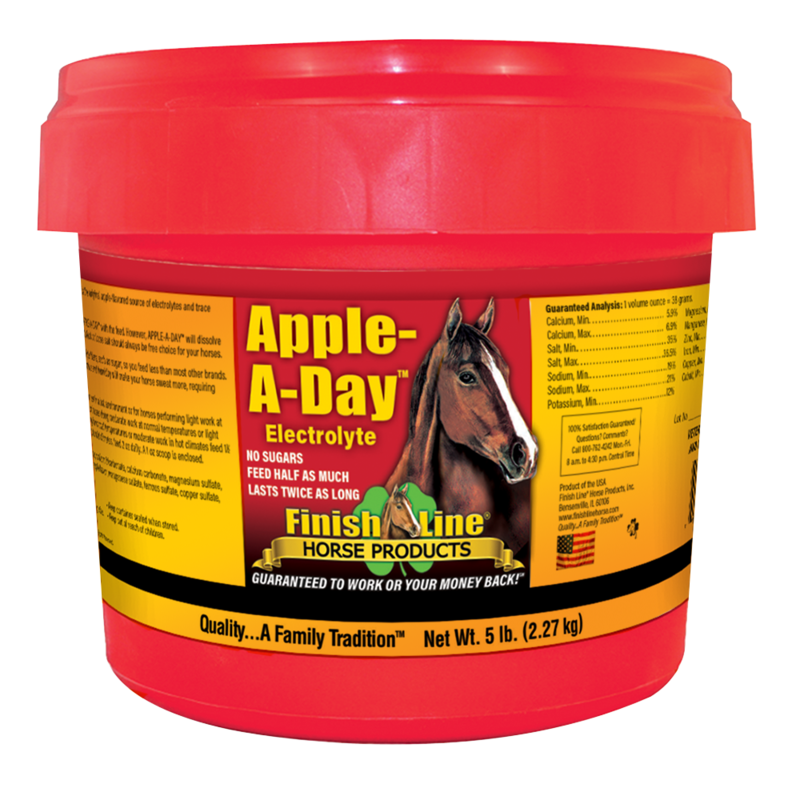 This electrolyte/mineral replacement replenishes electrolytes. 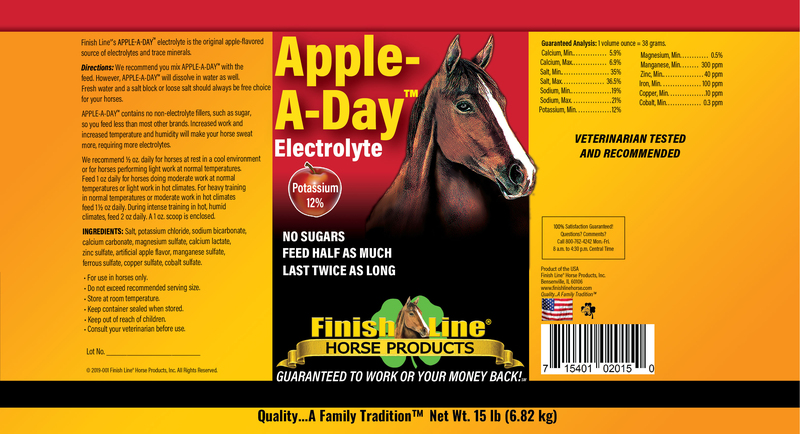 Apple-A-Day™ was the original apple flavored, no sugar electrolyte! It is a cost-effective product that contains no fillers, no sugars and no artificial colors! 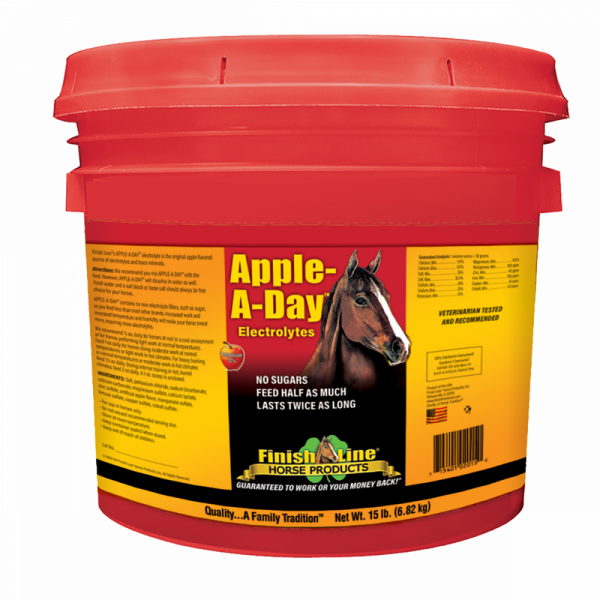 This proven electrolyte promotes healthy water consumption and replenishes electrolyte salts in your horse which are necessary for proper hydration, better appetites, nerve and muscle function. 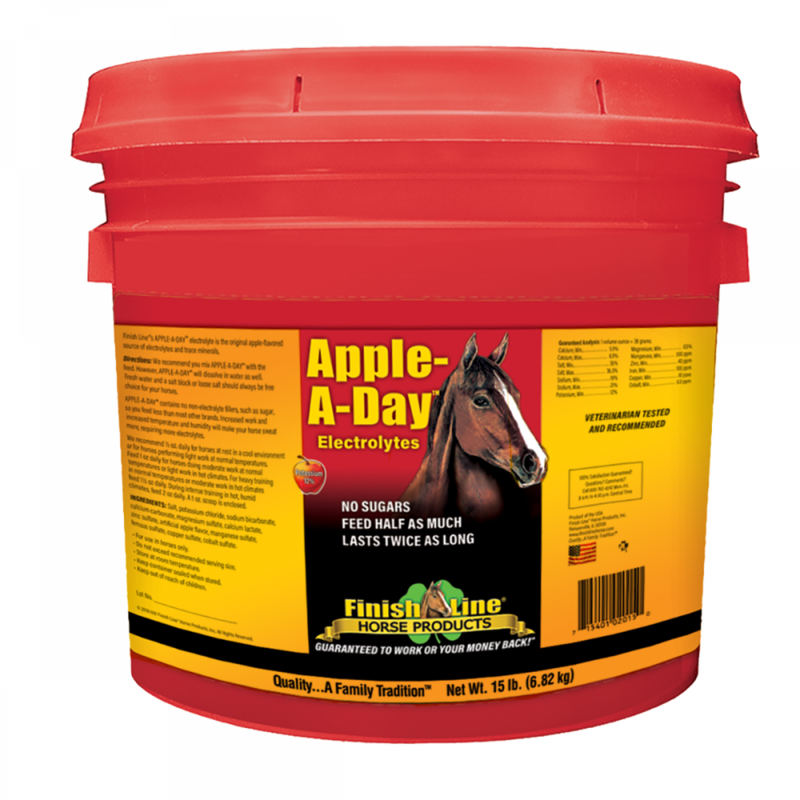 Supports healthy hydration for the horse. 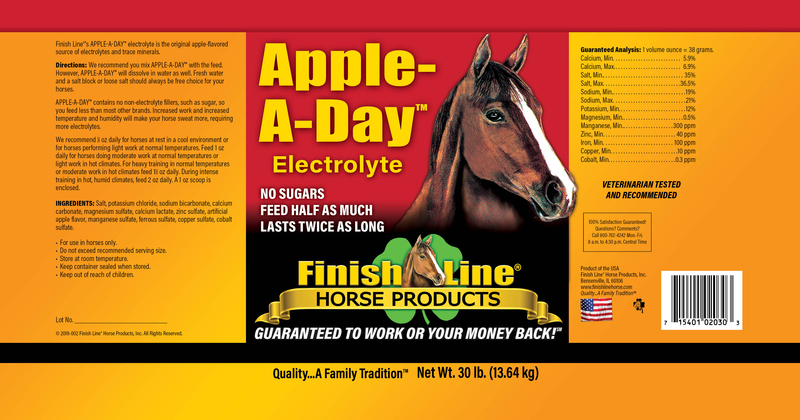 Formulated to replace electrolytes lost through daily activities, such as sweating, urination, and defecation. NO sugar, artificial colors or fillers, means our product is healthier than all of those sugar filled electrolytes and will last longer since you feed less! Noticed my horse drinking more almost immediately. The smell and flavor seems to really work for my picky horse.